HTC has recently launched all new HTC One M9+ in Indian market priced at Rs. 52,500 in Gunmetal grey, Amber Gold, and Silver Gold colour variant. If you want to buy HTC One M9+ in affordable price than great news for you Taiwani handset maker, HTC soon going to launch the plastic variant of HTC One M9+ as HTC One M9ew. HTC One M9ew expected to launch by June or July will be priced Approx. Rs 30,000. How ever the pricing of this device is no confirmed yet. The all new HTC One M9ew supports Fingerprint sensor, Single SIM, Nano SIM with 4G (FDD and TD-LTE), Wi-Fi, Bluetooth 4.1, Stereo FM radio with RDS, GPS/ A-GPS and NFC offer you a bigger 5a.2-inch Full qHD (1440×2560 pixels) display with Corning Gorilla Glass 4 delivers stunning colour consistency from almost any angle perfect for watching movies, playing games and reading e-books. HTC One M9ew runs on Android 5.0 Lollipop with HTC Sense 7.0 skinned on top powered by 64-bit 2.2 GHz octa-core MediaTek MT6795T processor promising superior gaming environment and blazing multi-tasking while 3GB of RAM, 32GB Internal memory expandable up to 128GB via MicroSD card offers enough space to store your date. HTC One M9ew sporting huge a 20-MP Primary depth-sensing camera with dual-LED (dual tone) flash, f/2.2 lens for shooting no need to buy DSLR Camera while 4-UltraPixel front-facing camera perfect for video calling and clicking selfies. It also packed with a 2840mAh battery promising enhanced battery life including HTC BoomSound speakers with Dolby Surround sound. 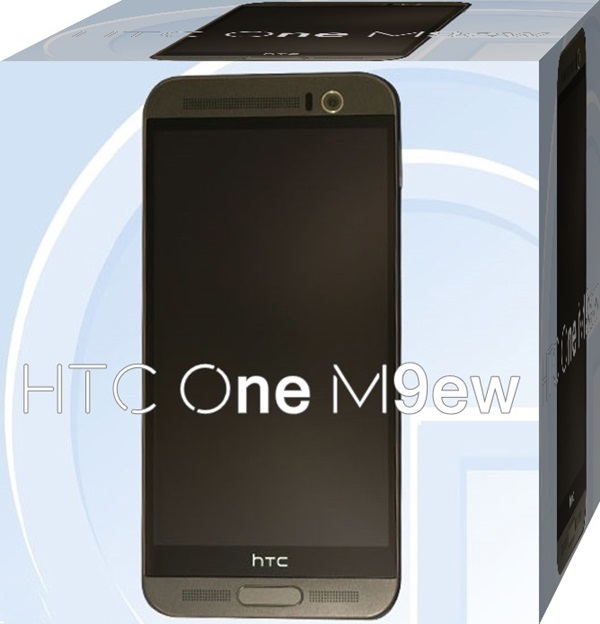 At last few honest word from heart that upcoming HTC One M9ew is coming to please the high-end smartphone lovers. What you think? Please stay tuned for more updates.